Skilled - Independent (Subclass 189) - You must have an occupation on the Medium and Long-term Strategic Skills List (MLTSSL). Check the Skilled Independent page for more details. State Sponsored (subclass 190) - requires sponsorship by a State or Territory Government. 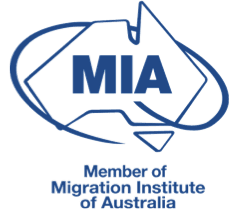 You may have an occupation on the Medium and Long-term Strategic Skills List (MLTSSL) or the Short-term Skilled Occupation List (STSOL) so long as your occupation is on a state or territory government nominated occupations list. Check the Subclass 190 State Nominated page for more details. Skilled - Regional Sponsored (subclass 489) - requires sponsorship by a relative living in a designated area or a state or territory government. For further details see the Skilled Regional Sponsored page. Have you met the requirements for the award of an Australian specialist educational qualification? Stay up to date with the latest skilled visa news.